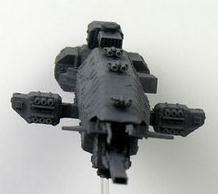 The Warlock Class Destroyer is an Earth Alliance ship from the Babylon 5 series. 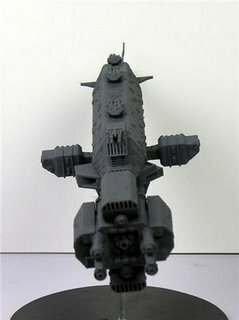 According to the Babylon 5 Technical Manual, the Warlock is a “byproduct of the ‘Earth Civil War’ and the most infamous war machine in the Earth Force Navy. It uses technology gained from the Dilgar and stolen from the Centauri. The Warlock is the intended replacement for the Omega Class Destroyer. The prototype was built in 2261, and by 2268 a handful of the ships were in service, one of which was commanded by Captain Susan Ivanova. 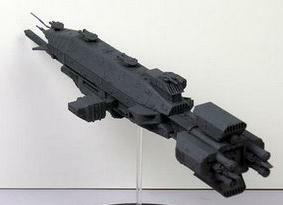 BamBam Productions 1:5000 scale kit is cast in resin and has 37 parts. The completed model is about 14 inches long.